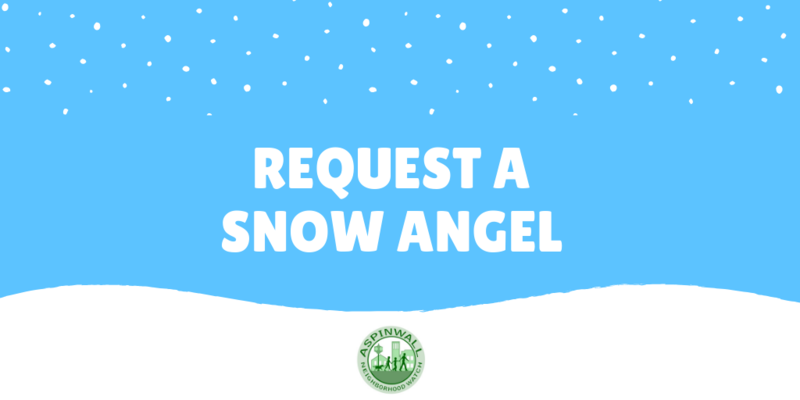 In order to receive a Snow Angel Volunteer you must meet all of the following criteria: • Aged 60 or older or have a physical disability.• Do not have available resources (financial resources or local family/friends) to assist with snow removal.• Live within Aspinwall Borough. Who are you requesting help for? Enter your full name, your relation to the person requesting services, and an e-Mail/phone number where you can be contacted. Which areas do you need shoveled?